There are big and exciting changes in store for our Flea Market. The Flea Market has been an institution of The Children’s Home for decades, and we are grateful for the funds it has raised in that time and for the dedication of the Auxiliary volunteers. However, as with all things, change is inevitable. August 18 will be the last public sale of The Children’s Home Flea Market. 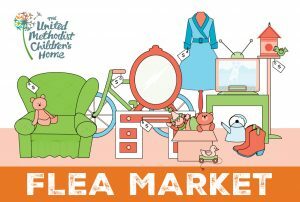 We are excited to be transitioning the Flea Market to a “Free Market.” This new ministry will enable us to better serve loving, compassionate and nurturing homes by providing our clients and foster parents with access to free clothing, diapers, toys and other household essentials to support the children we serve. More details will follow soon as we continue to discern God’s call in this new phase of our ministry.